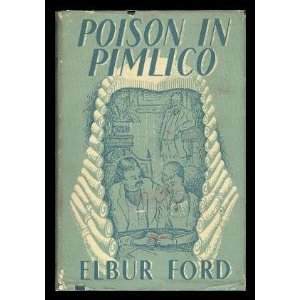 Poison in Pimlico. London, Laurie, 1950. Adelaide Bartlett’s husband Edwin was one who succumbed to poison. In his case, chloroform. Adelaide’s trial has gone down in history as one of the most baffling. Although poor Edwin’s post-mortem revealed a large amount of liquid chloroform in his stomach, there was no trace in the mouth or throat.The central part of Adelaide’s defense at her trial was the mystery of how the chloroform got into the stomach, as it is almost impossible to swallow as the unpleasant taste causes vomiting and if it had been poured down his throat while unconscious, some would have gone into the lungs and there was none found. Flesh and the Devil, London, Laurie, 1950. Dr. Edward Pritchard was hanged in Glasgow in 1865 for poisoning his wife and mother-in-law with antimony, and was Scotland’s last public execution. The author also wrote a non-fiction account of Edward Pritchard in her book titled A Triptych of Poisoners under the name Jean Plaidy. 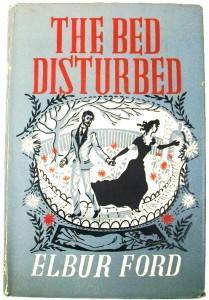 The Bed Disturbed. London, Laurie, 1952. 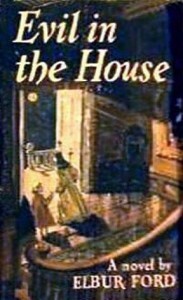 An Eerie tale about Euphrasie Mercier who is the housemaid-companion of Elodie Menetret. When Euphrasie decides to let her two deranged half-sisters stay for a visit, they get on Elodie’s nerves and are asked to leave. Euphrasie knows that if her sisters enter the real world they will be institutionalized, so she strangles Elodie. They continue to live in the mansion, dodging any suspicion until a nosy relative pays a visit. It’snot long before he figures out what has happened, but until they’re caught the suspense builds to a dramatic chill. The book is based on a true story that occurred in France, when Euphrasie Mercier murdered her companion, Elodie Menetret, in 1886 to get money for her two insane sisters. Such Bitter Business / Evil in the House. 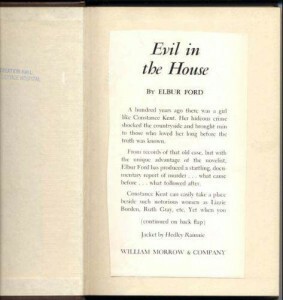 London, Heinemann, 1953; as Evil in the House, New York, Morrow, 1954. 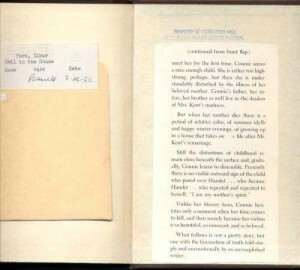 A hundred years ago there was a girl like Constance Kent. Her hideous crime shocked the countryside and brought ruin to those who loved her long before the truth was known. From records of that old case, but with the unique advantage of the novelist, Elbur Ford has produced a startling, documentary report of murder… what came before… what followed after.